Making the decision to purchase a Pomsky puppy is a substantial responsibility. As with any new pet, you’re agreeing to a serious commitment that can last years. That means a solid commitment to care for your 4-legged amigo with time, money and plenty of love. Buying a new dog means taking the necessary steps to ensure you find a healthy one that comes from a high standard breeder. With the Pomsky, it’s a fairly new designer breed on the scene. There are a lot of crucial factors to take into consideration before heading to the very first breeder you find on Google. Luckily, we’ve got the ultimate guide you can trust to help you discover 100% real Pomsky breeders around the world. In this guide, we’ll also give you vital tips to keep in mind when you begin your search. TIP #5: Is the breeder registered? Pomskies are rocketing sky-high on the popularity charts. While that means there is a high demand for this fledgling crossbreed. It also grabs the attention of scam artists looking to make quick big bucks by selling puppies that are bred under poor circumstances. You could be sold a fake Pomsky: Did you know that a heap of those cute Pomsky puppy pictures on the internet are actually not Pomskies at all? Beware of this trick and always check for papers. A Pomsky is the offspring of Pomeranian and Siberian Husky parents. You could be sold a sick Pomsky: Once again, always ask for a medical history and shots rendered. Inquire into the medical history of the puppy’s parents. Reputable breeders will be happy to offer any information they can. You could get cheated on the price: Sleazy breeders have little regard for the puppies they’re selling. They just want to pocket fast cash. Pomskies aren’t cheap, so understanding the price range and what dictates their price is imperative to saving. Never fear! True, there are some bad apples out there, but all you need to do is dodge them for the good apples. Educating yourself on all aspects of the Pomsky market is the best way to find your dream pup with peace of mind. As you’re perusing different breeder websites, be wary of these sketchy behaviors. But, why not? A responsible breeder that is passionate about Pomskies should be proud to give a tour and show off where their prized litters are born. If they’re not willing to do so, what do you think they’re trying to hide? Insert puppy mills. These greedy breeders don’t want potential buyers sniffing around the premises. They might be turned off when they see dozens of crates crammed with puppies and overworked mothers churning out litter after litter. Or, you might be talking to an amateur breeder who has a ramshackle operation going on in their backyard. It’s easy to buy a Pomeranian and Husky to breed for profit. The problem is the lack of expertise when it comes to breeding and lack of knowledge on the breed in general. The parent’s history is vital when purchasing a puppy. It gives clues into how a litter will turn out regarding looks, health and temperament. It’s a poor start if a breeder just bought the cheapest parents they could find at the pet shop and started their own breeding program thinking it’s easy- it’s all birds and the bees. Get real! You’re not the only one on the hunt, doing the interviewing. You should be prepared to be interviewed yourself. Genuine breeders love their dogs and are critical when it comes to ensuring all of their babies go to a good home with capable human parents. A breeder should be asking you questions about your job, household and availability to care for a puppy. It takes a lot of work, proper diet, training and socialization to get a puppy well- situated. You have a responsibility to warrant these duties, just like a breeder has a responsibility to uphold certain ethics when selling puppies. If a breeder doesn’t care to meet you, it means they don’t care much about the puppy’s well-being and will send them wherever with whomever. All they see are those neon dollar signs flashing on your forehead. What do we want? We want a receipt and contract! When there’s a Pomsky for sale, shake your finger “uh uh” at any breeder that only accepts cash and refuses to produce any proof of purchase. Even after you’ve brought your Pomsky home, that doesn’t mean the contact between you and the breeder ends right there and then. What if the puppy gets sick, or worse, dies? No one knows the history of a puppy and her family better than the breeder. They should be available to assist in those first few weeks after purchase if you have any questions or if concerns arise. Most importantly, they should offer a receipt and contract that states their obligations as a breeder and your rights as an owner. Scammers are pretty darn creative these days, and the puppy market is no different. When you see that irresistible Pomsky puppy face, love can make a person blind! Stay focused and be patient. You don’t want to get swindled out of your hard-earned cash. Follow these tips to avoid getting cheated by those breeders with bad intentions. Purchasing a Pomsky (or any dog for that matter) is so much more than just a quick transaction. It’s an agreement of trust between two dog lovers. Have a list of questions ready to ask the breeder. If they try to put pressure on you to buy immediately without giving any feedback, this should make you think twice. They should be willing to speak with you over the phone or meet you in person. Good breeders have no problem with sharing about their dogs and practices. Also, be wary if they guarantee a Pomsky will grow to look a certain way or grow to a specific size. Some people want a Pomsky because it resembles a tiny husky, but that’s not always the case. Remember that with crossbreeds, you never know what you’ll get- especially with a Pomsky. Has the Pomsky been checked by a vet and are medical records available? Are there any papers that certify the parent’s background? Are there any genetic issues and defects that arise during the cross-breeding process? Will the Pomsky be sterilized before the sale? Is the breeder a member of any Pomsky associations or breeder fraternities? Does the breeder have a website or social media presence? 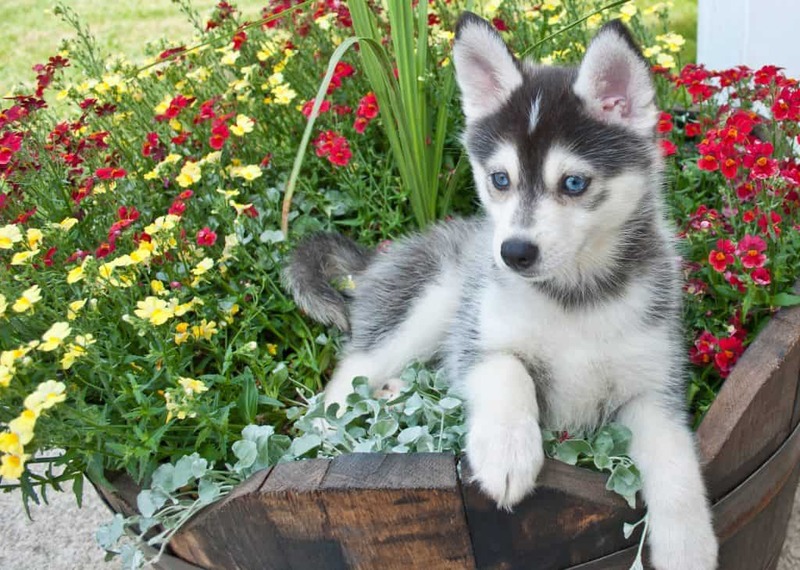 An ethical breeder will be able to produce pictures and/or videos that document the various stages of the Pomsky’s life up until the moment of sale. This can also include images of the entire litter or the parents. Beware of photos that come from the internet, as scammers may try to give you fake pictures they took off Google. Puppy mills don’t have the time or consideration to track the personal characteristics and the development of their multiple litters. If they ain’t got references, they ain’t got nothing! Buyer reviews are all over the web nowadays. Breeders should be able to back-up their business with shared experiences from past encounters, whether it’s testimonials from previous Pomsky buyers or the references from the vet. This is one of the best ways to avoid a scam, ensuring that the breeder has experience, integrity, and a respected reputation. A Pomsky price will vary anywhere from $1,000 to $5,000. Pricing can depend on various factors, such as the size and markings or the parents pedigree. 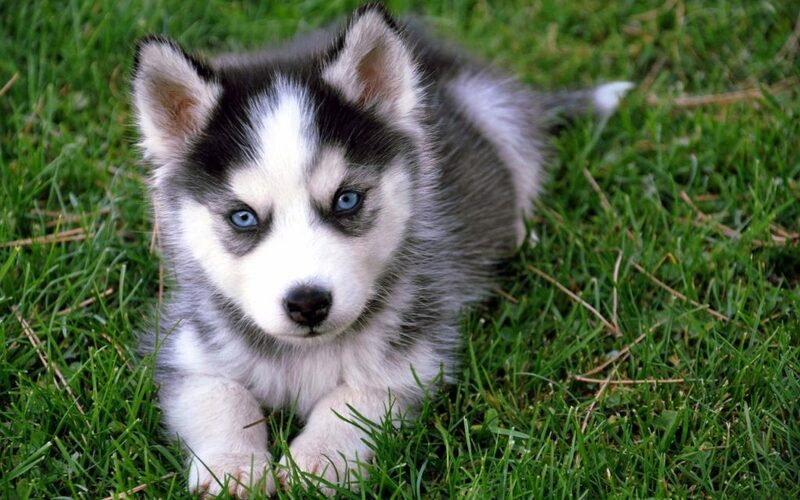 Demand is high for small-sized Pomskies sporting ice-blue eyes or the typical black and white Siberian Husky features. If the price is less, be wary that the puppy may be a fake. If it costs over $5,000, be sure to really question the breeders and compare with other options. Pomskies should not cost that much, and you could be getting scammed big time. Remember those bad apples we talked about? In the canine world, these bad apples come in the shape of puppy mills, auctions and pet shops. Auction websites are another way to buy Pomskies online, and it’s becoming more prevalent due to convenience. Bidders gather online and a quick sale is made to the highest bidder with no questions or interviews conducted. Some breeders will even lie and tell prospective buyers that their puppies come from a litter with healthy parents, but they won’t have the medical documentation or photo/video proof to back it up. A registered breeder will not sell their puppies to puppy brokers or pet shops. Pet shops are notorious for getting their inventory from puppy mills. Don’t support these businesses that lack the proper care and compassion for their Pomskies. Is the breeder a member of the IPA (International Pomsky Association) or PCA (Pomsky Club of America)? 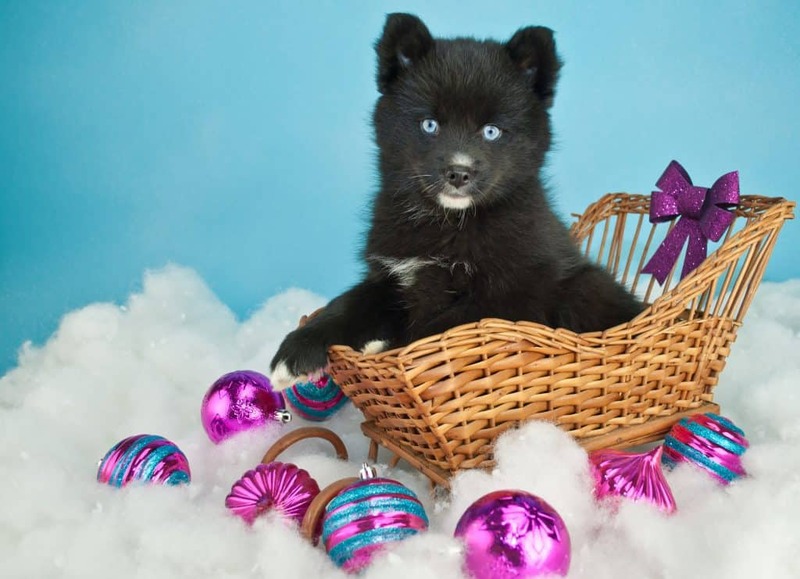 If so, then when you purchase your Pomsky, the breeder will provide documentation and a sales contract from the association, guaranteeing ethical breeding practices. Find direct contacts for Pomsky breeders based in the US, Europe, Canada and Australia. Note that we didn’t check these breeders. Please vet them yourself, using tips from this article. Bolded breeders are approved by the Pomsky Club of America. Use our interactive breeder location map to find Pomsky breeders near to you. Here is a list of marketplaces, where you can also find some Pomskies for sale. Marketplaces allow you to filter and search through hundreds of puppies at once to find exactly what you desire. Don’t forget our tips to ensure your puppy comes from a responsible breeder. Owning a dog is a huge responsibility that will take time, effort and money for the next 10 to 15 years. It also takes a big heart and a lot of love. Starting out your Pomsky journey with patience is key to finding the right puppy for you. It also ensures that you get a dog that was bred for good health and given the proper care in its infancy. Buying a Pomsky should be an exciting time, but don’t be naive when it comes to the different types of breeders out there. A reputable breeder will make the buying experience enjoyable for you by answering your questions, providing documentation, registration and more. 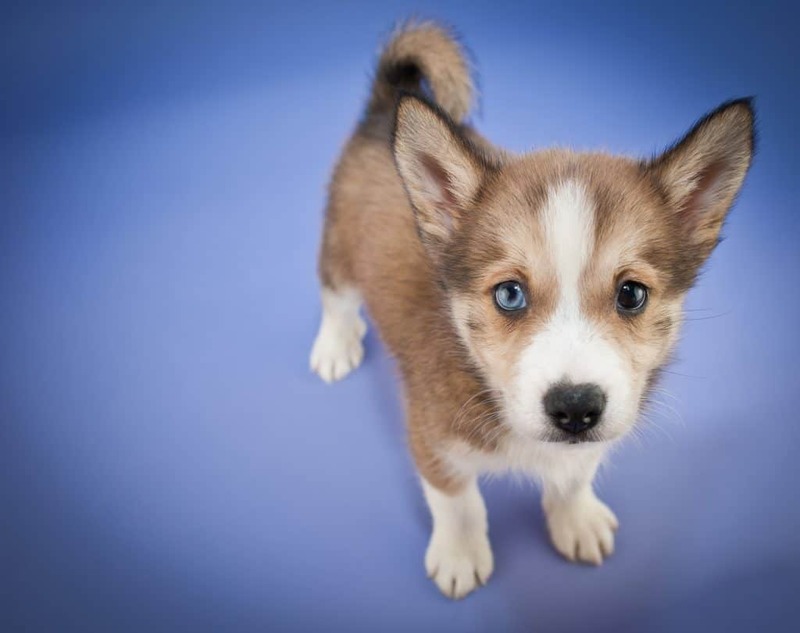 Most importantly, they want to assure you that your future dog is coming to you from a fellow Pomsky lover that just wants their puppies to find a safe forever home with an owner that cherishes them. This was a part 5 in a 5-part series that details everything you need to know about the Pomsky. Part 2: How Big is a Full Grown Pomsky? Part 4: How Much Does it Cost to Own a Pomsky? I love the information that you provided. If I could add anything, it would be that you should tell potential buyers that they should be patient and expect to wait up to possibly a year to adopt a puppy. The popularity and lack of quality breeders make put these puppies from reputable breeders in high demand. I would also say if you can contact someone and they are willing to sell you a puppy right away, something is wrong. Hi! My name is Kim and I’m with KP Pomskies. I am an approved IPA member and only have 1 litter per year in my home. Can I get added to that list please? How Big is a Full Grown Pomsky? How Much Does it Cost to Own a Pomsky?